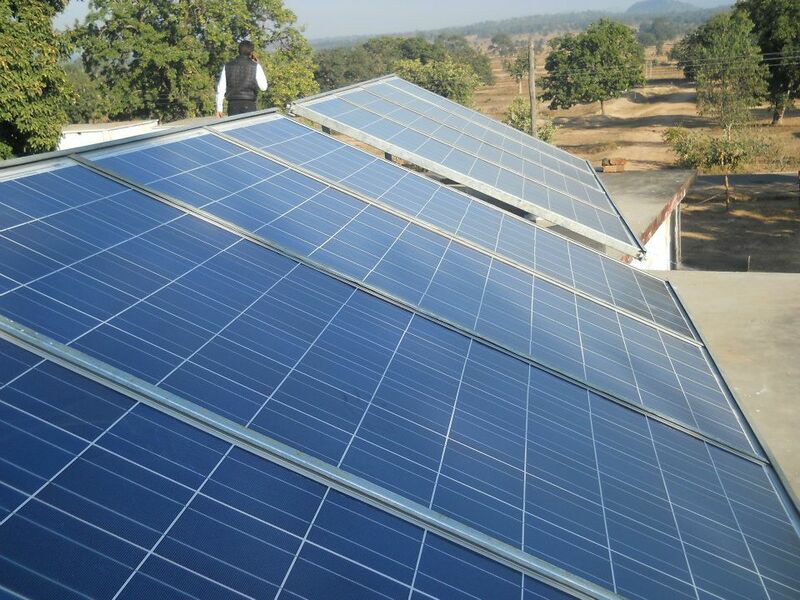 The Saur Sujala Scheme of the Chhattisgarh State Renewable Energy Development Agency (CREDA) has been successful and effective in improving the lives of farmers in the state of Chhattisgarh. Considered to be a boon for farmers, this scheme has provided solar-powered pumps for irrigation purposes across the state. In District Gariyaband, under this scheme, a total of 2456 farmers have benefited from the installation of solar pumps in their land. These pumps have been checked and seem to be in sound working condition in the present day as well. It is remarkable that in the first phase of this scheme’s implementation in District Gariyaband, only 700 solar pumps were to be installed. However, the target was crossed with 1019 solar pumps being installed. On those terms, the district remains at the top of the list of districts in Chhattisgarh where the implementation is taking place. In the second phase, 1437 solar pumps’ installation has also been completed. It is to be noted that under the Saur Sujala Scheme, farmers living and working in distant, electrified villages receive a 95 to 98 percent grant wherein solar pumps that cost around anywhere between Rs. 3.5 to 4.5 lakh are installed for a marginal price anywhere between Rs. 10,000 to Rs. 25,000. Prior to this scheme, there was no other known way to irrigate fields in these parts and farmers were entirely dependent on rains for irrigation. Drought or short-term rainfall would cause crop failure and consequent economic difficulties to these farmers and their families. However, in recent times, the Saur Sujala Scheme has given them some relief. Because of the solar pump installations under this scheme, they no longer dependent on rain for irrigation facilities and their crop yield is quite good. The economic life of the beneficiary farmers has thus been steadily improving and they are quite appreciative of this fact. Mr. Sheshmal Giriraj and Mr. Tulsidas Patra are residents of a village called Kumhadikala of developmental block Devbhag. Even though both of them owned agricultural land, due to lack of irrigation facilities, they wouldn’t indulge in large-scale farming activities of any kind. The Saur Sujala Scheme put an end to their irrigation-related problems. 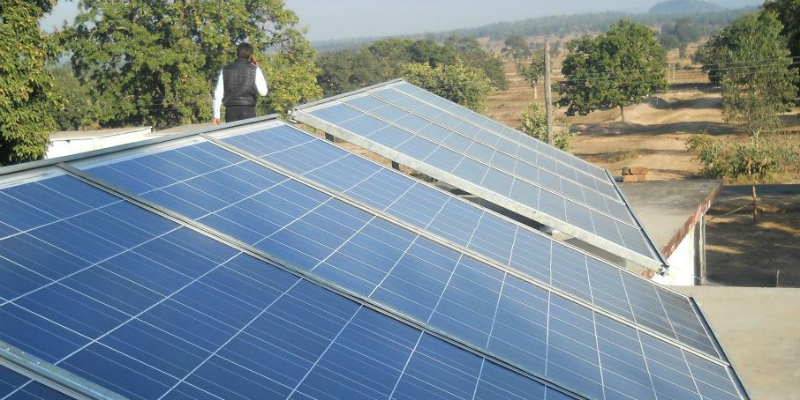 Under the scheme, both of them got solar pumps installed on their lands. They now use water from these pumps to grow vegetables on their lands. Before the installation of these pumps, both of them were growing just enough vegetables to feed their families. Now, they have around 3 acres of land planted with brinjal, ladyfinger and urad crops. Both Sheshmal and Tulsidas were making around Rs. 5000-Rs. 6000 per month prior to the installation of the pumps on their land. After the installation, both of them make anywhere between Rs. 20,000-Rs. 21,000 per month. The remarkable economic growth they have witnessed through obtaining the benefit of the scheme has been appreciated by both of them.